Over the next three to five years, the Ministry of Electricity and Renewable Energy plans to add 51.3 GW to current installed capacity. This is where The Solar Show MENA comes in. 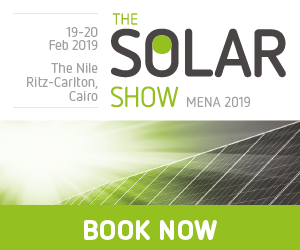 The Solar Show MENA, which is co-located with The Wind Show MENA and The Energy Storage Show MENA, is the renewable energy event the region has been waiting for and will help to shape the energy market through sharing knowledge, educating the market and facilitating influential meetings. Register for your pass today here.